Microsoft co-founder and philanthropist Bill Gates is no longer the richest man in the world. Amazon founder and CEO Jeff Bezos, on Thursday, surpassed Gates to become the world's richest man. The proverbial rise and rise of Bezos came after a 1 per cent surge in Amazon's stock ahead of the company's earnings reports. With the new development, Bezos now becomes only the sixth man in the world to hold the richest person title over the past 30 years. Gates had been ceremoniously holding the top spot since 2013. 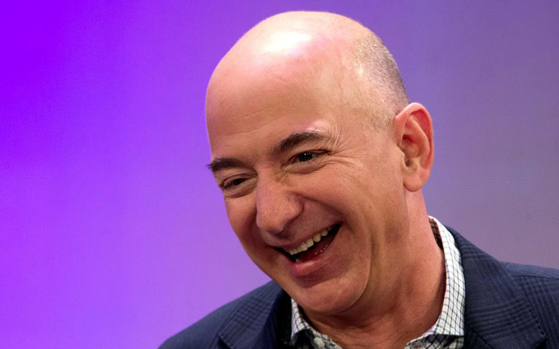 "Forbes now estimates the wealth of Mr Bezos, currently Amazon's chief executive, at about $90.6 billion, compared with $90 billion for Mr. Gates," the New York Times reported . Amazon's shares surged more than 40 per cent over the course of last year and at the time of filing of the report the online retail giant they had traded at about $1,063. The rise of Bezos also goes on to show just how powerful Amazon has gone on to become since its inception in 1994. The company that initially started as an internet book store has quite literally gone on to reshape the world of online retail across the globe. Amazon also enjoys a veritable repute in India where it competes with local players like Flipkart. But while companies like Flipkart offer online retail and online retail alone, Amazon offers a lot more, including Web Services and online streaming via Amazon Prime Video. The company also has a personalized voice assistant called Alexa that is massively popular in the US and other markets and gives a major thrust to its Echo range of smart speakers. Alexa and Echo devices are still to make their way to the Indian market, however.